These are my favourite cutlets. Usually I make them plain, but for a change.. added some crushed walnuts because hubby dear loves them. I was satisfied with the result !!! they came out quite good. You can actually make use of your left-over chicken keema this way. 1. Heat oil in a pan and add onions. Saute until golden brown. 2. Add the ginger garlic, chillies, tomato and mix until tomatoes are soft. 3. Now tip in the chicken mince, salt and the spice powders. Saute well until the colour changes.Sprinkle a little water and cook until done on low flame. It has to be dry. Set aside to cool. 1. Mix one egg, half of the breadcrumbs, little garam masala, crushed walnuts to the chicken mince. Check the salt. It will be little moist because of the egg, but not to worry. 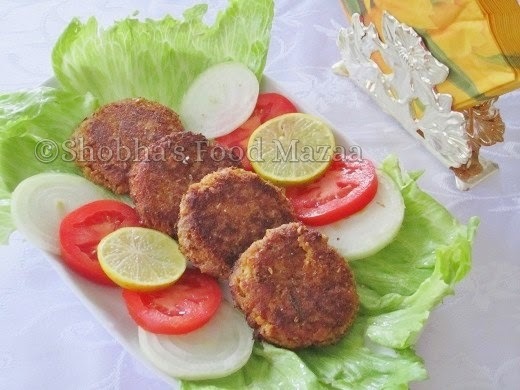 Refrigerate it for an hour or more before making cutlets. 2. Roll them in the remaining bread crumbs. If you are not frying them, put them back in the refrigerator again until you are ready. 3. Heat a little oil in a flat pan/griddle, fry the cutlets. Since the chicken mince is already cooked, you just have to fry lightly. The texture of the cutlets will be nice and firm because of the egg. 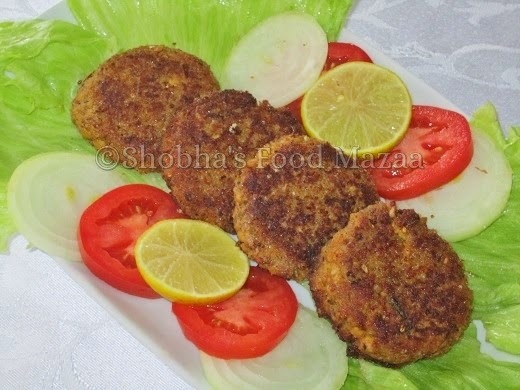 Another delicious recipe :) Tempting me to have some right now :( Thanks for the fabulous award Shobha ji...and thanks for linking these delicious cutlets to my contest:) My best wishes!! You must make these Divya.. These are so yummy!!! Beautiful recipe! Makes me hungry,super tempting and irresistible..
And di, we can also steam the same to get steamed cutlets, right? The walnut variation is a great idea. Cutlet looks delicious, thanks for sharing with Hearth and Soul blog hop. What a delicious recipe, so full of flavour! I love using nuts in breading - they add so much flavour and nutrition as well. nice cutlet.adding walnut is very healthy.